Officer Mike McClaughry was shot in the back of the head while responding to a 911 call on December 2016, leaving him nearly blind and also caused short-term memory problems. 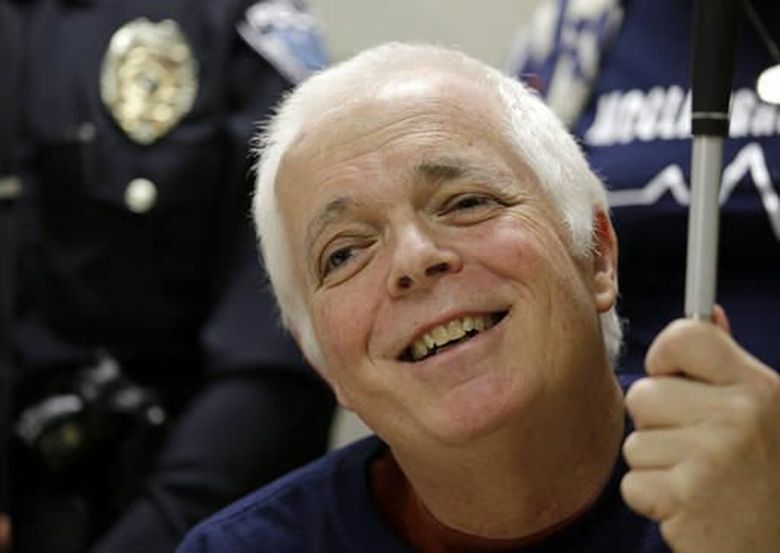 MOUNT VERNON — A Mount Vernon police officer who was wounded a year ago while on duty has retired after 32 years on the force. KOMO-TV reported Thursday that Officer Mike McClaughry’s daughter announced in a Facebook post that her father officially retired on Nov. 30. According to the post, McClaughry has taken on multiple roles at the department such as the first local D.A.R.E. officer, a squad lead officer and a field training officer. He was shot in the back of the head while responding to a 911 call on Dececember 2016. The shooting not only left him nearly blind, but also caused him short-term memory problems. After he returned home from the hospital, McClaughry received the Washington State Law Enforcement Medal of Honor and a Purple Heart Medal from the police department.